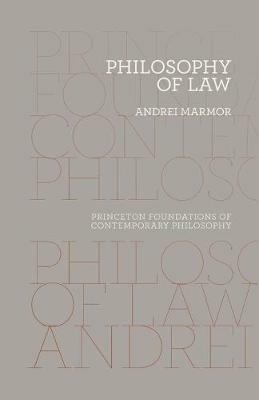 In Philosophy of Law, Andrei Marmor provides a comprehensive analysis of contemporary debates about the fundamental nature of law--an issue that has been at the heart of legal philosophy for centuries. What the law is seems to be a matter of fact, but this fact has normative significance: it tells people what they ought to do. Marmor argues that the myriad questions raised by the factual and normative features of law actually depend on the possibility of reduction--whether the legal domain can be explained in terms of something else, more foundational in nature. In addition to exploring the major issues in contemporary legal thought, Philosophy of Law provides a critical analysis of the people and ideas that have dominated the field in past centuries. It will be essential reading for anyone curious about the nature of law.